You have machinery for sale you don't need any more in your production? Any surplus material or tools? Just send your offer now you will get space and money for new investments shortly. Highlight of the year 2016 was indisputably the international exhibition Interbrush. 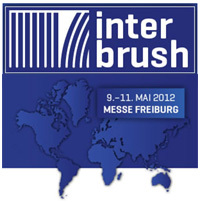 From 27th to 29th April the fairgrounds Freiburg centered on the Brush Industry. Also WOMA came up with some innovations. Daniel Köhler proudly presented for the first time his new Windows based CNC control system for retrofits of brush drilling and filling machines. It's compatible to all machine brands, easy to operate and comfortable in programming. 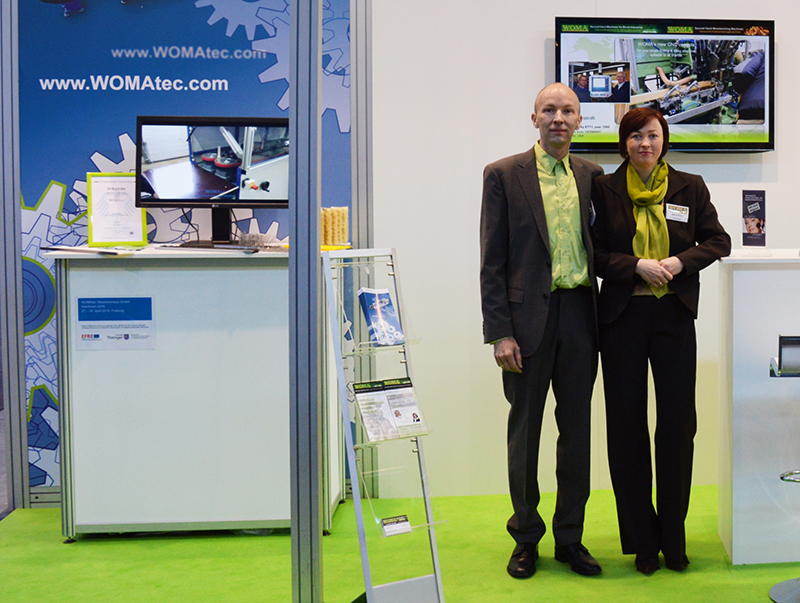 But the greatest novelty was the entrance of our new company WOMAtec Maschinenbau GmbH. Around one hundred visitors came every day to see our only 18 squaremeters stand. Patiently people have been waiting for meeting us. Thank you for that and all the compliments you've paid us for the shown projects! 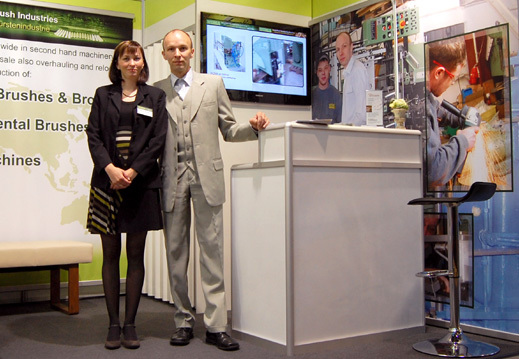 For the first time WOMA was exhibitor at Interbrush fair from 9th to 11th May 2012 in Freiburg. This most important international fair for the brush industry takes place only every four years. Beside company owner Daniel Koehler also his wife and sales manager Maria Koehler have been there. Mr. Dmitry Volkov was taking care for customers from the Russian speaking countries. At the booth we met represantatives of about 150 companies from all over the world. Mainly manufacturers of brush and broom blocks, sticks and handles also of finished brushes interested in buy or sale of second hand machinery. Additionally a lot of existing customers have taken the chance for public relations or talking with us about future projects. Complete Factory for Wooden Spools & Handles Hempel a.o. Not for your machines! Just use our Contact form "Machinery Sale".